Today I'm going to talk about a product which I bought last summer but I only start using it over the last few weeks. "The Indeed Labs™ story began when Dia Foley, now VP of Sales + Marketing expressed the need for instant, flawless, HD camera ready skin after an appearance on TV. Having to go live on air would give any woman pause to consider the state of their skin. High definition digital technology brings about visual clarity for the viewer, but for on-camera talent that crispness magnifies every pore, line and perceived imperfection. Turning to the in studio makeup person, she thought aloud, “Wouldn’t it be great to achieve that soft, camera lens filter effect applied directly to the surface of your face?” And thus, out of the need for instant, flawless, HD ready skin, nanoblur™ was born." 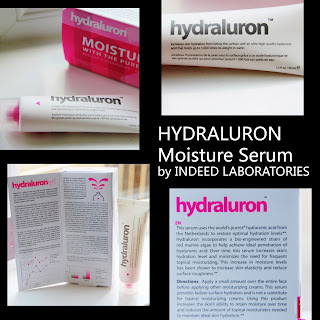 Hydraluron contains pure form of hyaluronic acids, this ingredients holds up 1.000 times its weight in water and Red Marine Algae to help maximising the delivery. I WILL GET HAPPY INDEED! 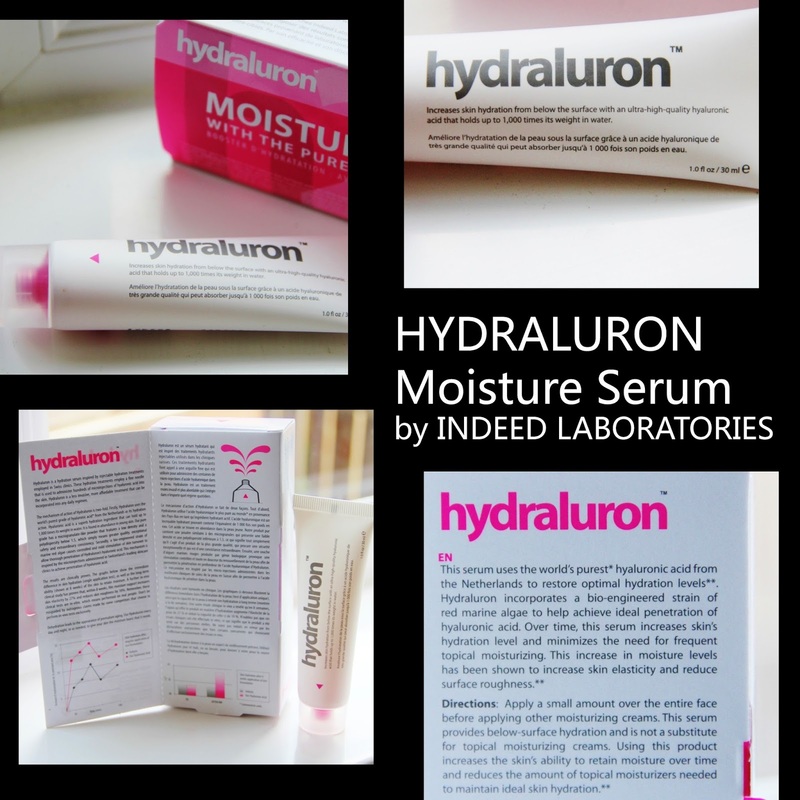 Have you ever tried this product or any by Indeed Labs?